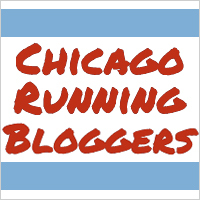 Around the internet, blogosphere, and social media, the world was buzzing about National Running Day on Wednesday. In previous years, I haven't celebrated this glorious day due to pregnancy and other various activities. This year I decided it was time to finally enjoy the holiday! It seems like every day there is a National Such-and-such Day, but with National Donut Day following a few days later, I felt like this was a natural match made in heaven. 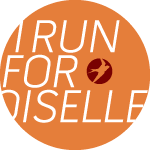 There is a Oiselle shirt that I didn't purchase last year and desperately wanted. The base runner tee (pink with blue mesh sleeves or blue with pink mesh sleeves). Well, I searched the internet far and wide and couldn't find it. I took to Twitter to ask around and found a comparable style on Title Nine's website. The Vroom tee. Well, needless to say, I needed to buy it. The temps here have been either cold or warm so I hadn't been able to test it out until now. After work, I headed out for some miles on the jogging stroller. Patsy loves her mommy time in the evening and she doesn't like if I'm out of her sight. I know she won't always feel this way so I try to really enjoy these moments. We went for 3 miles around the neighborhood. Simple and sweet. I had the hubs take some photos of us. Selfie on the self timer! Nothing like some shiny forehead sweat after a run! Happy National Running Day to you! How did you celebrate? I really like your shirt! I did not run that day. I had class in the evening so no time. I guess i could have ran in the morning but I had already ran on Tuesday evening. Aww - you guys are so cute! It was my first time "celebrating" National Running Day too -- I did 4 miles after the kids went to bed. Finally! Thanks! It had quite the story behind me finally buying it. Lol. I'm glad you like it! Awesome, great job out there! Baby Wilson: Patsy is 9 Months Old!